It is part of our corporate culture to comply with all applicable legal obligations. Therefore we are taking all the necessary steps to fulfill our responsibilities under this EU Regulation. REACh, the EU Regulation 1907/2006/EC regarding chemicals, is intended to replace a large number of existing directives and regulations, which have developed historically. REACh came into force on 1st June 2007. In the past the authorities have evaluated and eventually restricted the use of certain chemicals when risks were found. Under REACh a significant part of the responsibilities has been shifted to manufacturers and importers, either of chemicals on their own and preparations, as well as articles. REACh defines obligations along the whole supply chain to provide information to the next actor in order to allow the safe use of chemicals and articles manufactured by them, and to avoid liability issues. We are aware of our responsibilities under the REACh regulation. 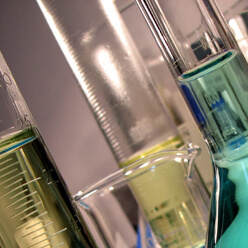 The candidate list of Substances of Very High Concern (SVHC) has been published on the European Chemicals Agency (ECHA) website since 28th October 2008 and is regularly updated. We are checking continuously whether substances included on the candidate list are contained in our articles or packaging materials in a concentration above 0.1 % (by weight). Please find up to date SVHC information regarding Omron products below. Products not found on this list might be currently under survey.